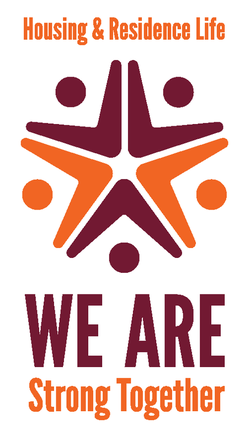 The Mission of Housing & Residence Life at Virginia Tech is to provide inclusive communities that engage students in exceptional living and learning experiences within safe, clean, and well-maintained environments that foster a sense of belonging. Welcome to the VT Hall Staff Website! VACUHO RA CONFERENCE AT VT! This weekend! Join the VTHRL Hall Staff Facebook group! Join the VTHRL Hall Staff 2012-2013 Facebook group! It'll be a great place to share and get ideas for your community, as well as connect with other RAs and professional staff. 3. One of the first options presented will be "VTHRL Hall Staff 2012-2013" and click join. 4. We'll confirm that you are a current staff member and then approve you for addition to the group. This group will be limited to current staff only and posts will only show to other group members. Residents and non-members of the group that you are friends with on Facebook will not see posts that you make here. Please know that while we promote collaboration, we ask that you refrain from sharing information (such as names, rooms, etc.) that could identify specific residents. We look forward to engaging with you and enhancing our work together! Below is a file with contact information for our Residence Life professional staff. We will continue to update it with information as people come on board and get set up!